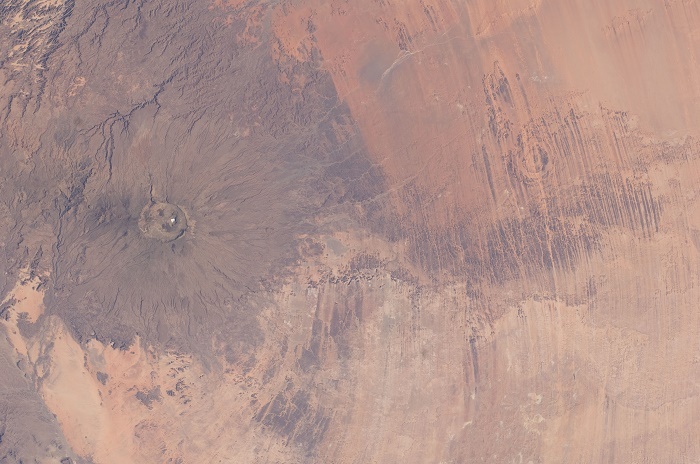 Emi Koussi is a huge extinct volcano in the middle of the Sahara Desert, and the highest of the Tibesti Mountains and in the Sahara, located in the north of the Republic of Chad. The enormous massif was constructed over a basement of Cretaceous and Paleozoic sandstone. Its crater is 19 kilometers (12 miles) wide and 1,219 meters (4,000 feet) deep. Access to this remote region, however, is logistically challenging, as roads are few and rough, and the only public transportation available is on top of cargo trucks. 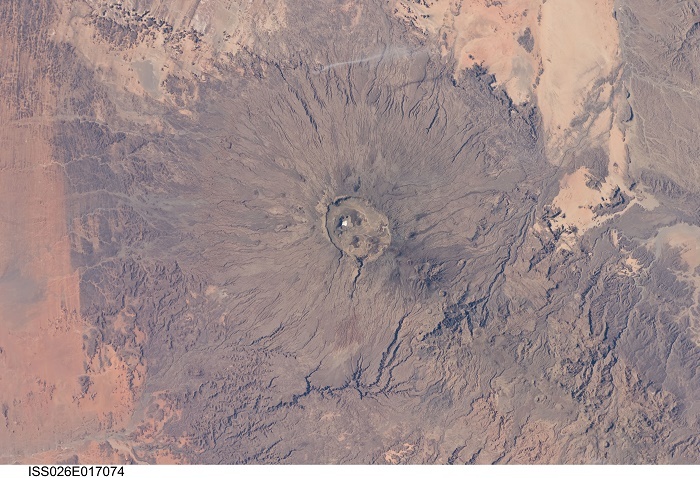 Two nested calderas cap the volcano, the outer one being about 12 by 15 km (7 by 9 mi) in size. 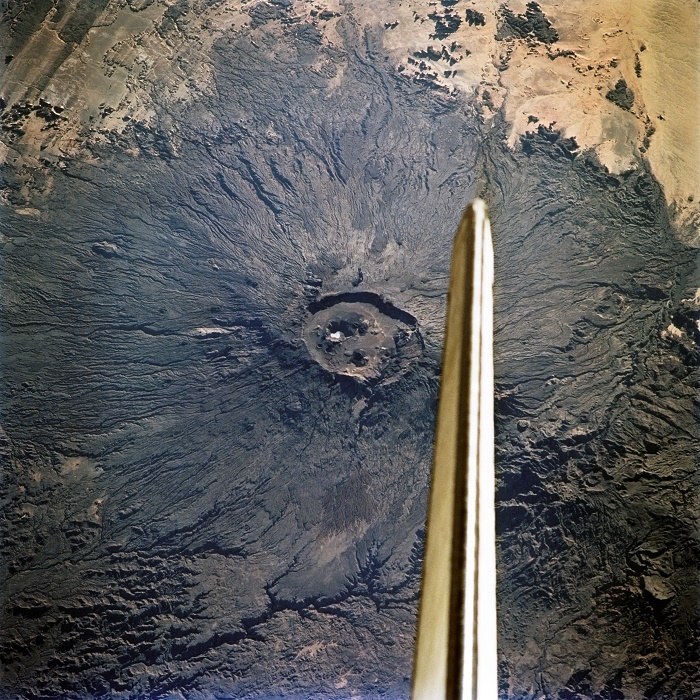 Within it on the southeast side is a smaller caldera, about 2–3 km wide (1.2-1.8 mi) and 350 m (1148 ft) deep. 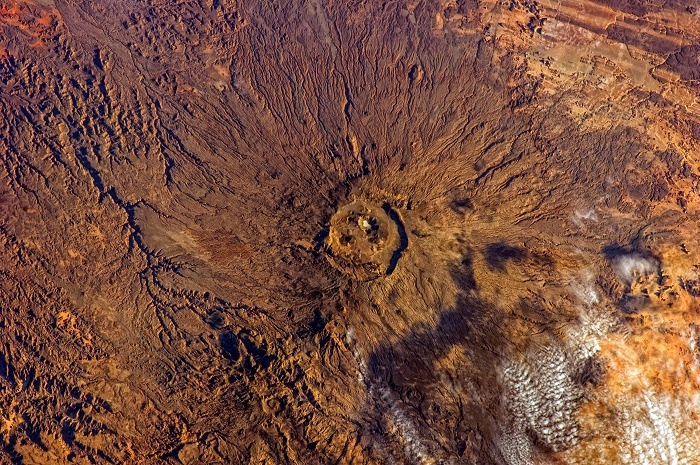 Numerous lava domes, cinder cones, maars, and lava flows are found both within the calderas and along the outer flanks of the shield. Emi Koussi has great similarities to the Martian volcano Elysium Mons, but the most important morphological differences between volcanoes on Mars and Earth is the widespread furrowing of the surface due to flowing water on terrestrial volcanoes. 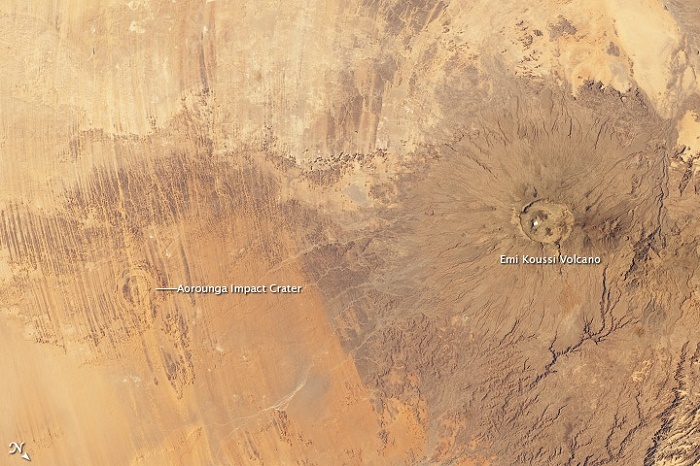 The extinct volcano is the highest point of the country at elevation of some 3,445 m (11,302 ft). 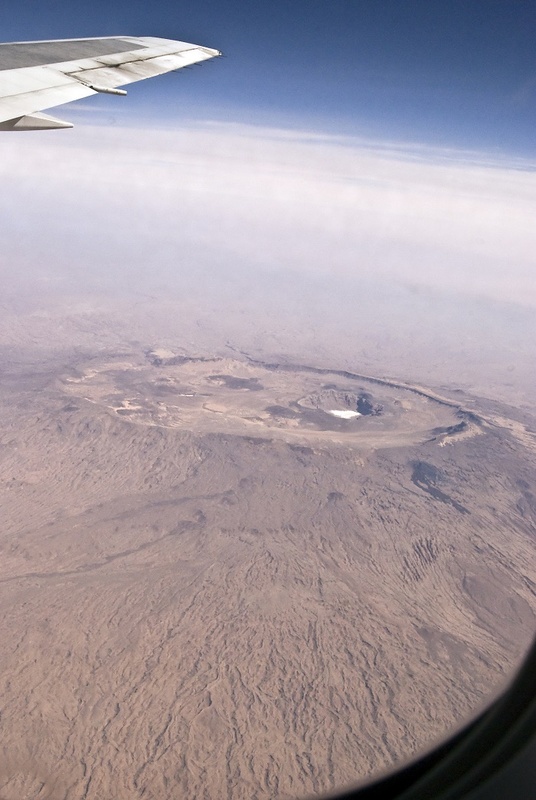 Climbed officially in September 1938 by Wilfred Thesiger and Idris Daud it is a peak that is still not very well discovered by others considering the political and security situation all around Africa is changing, this alluring place still needs to be explored more.